The intellectual and moral imperatives that underscore public health have sustained the idea that its fundamental scope is the study of human health, illness and suffering, and that these are self-evidently attributable to individuals and groups of people. 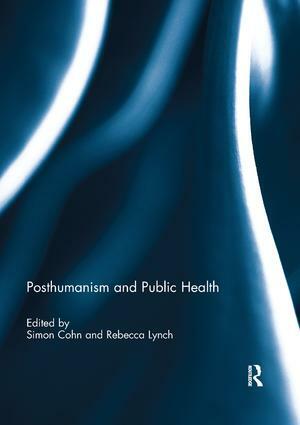 This edited collection explores to what extent a shift towards more posthuman perspectives – where the status of the human as the obvious focus for our attention is de-stabilised – might catalyse complimentary or alternative accounts of common topics in public health. The collection argues that through this posthuman approach, standard categories such as health, illness and even the body might be re-conceived as interactions between different entities – between people, other living things, material objects and the environment – rather than as inherently human properties. By taking into greater account non-humans and relationships between humans and non-humans, this approach offers a re-casting of traditional topics in public health and opens new opportunities for examining these. In so doing, the book raises key questions about researching ‘health’; about considering the extent to which it may be productive to think about health as it interests not only human lives; and what happens to our moral and ethical commitments if we no longer put humans first. This book was originally published as a special issue of Critical Public Health. Simon Cohn is Professor in Medical Anthropology at the London School of Hygiene & Tropical Medicine, UK. Drawing increasingly on science studies and practice theory, his research has focused on issues related to diagnosis, contested conditions and chronic illness in the UK and other high-income societies. Rebecca Lynch is a Research Fellow in Medical Anthropology at the London School of Hygiene & Tropical Medicine, UK. Her research is interested in constructions of the body, health and illness particularly in relation to morality, values and categorisation. She has undertaken ethnographic fieldwork in Trinidad and research projects in the UK.